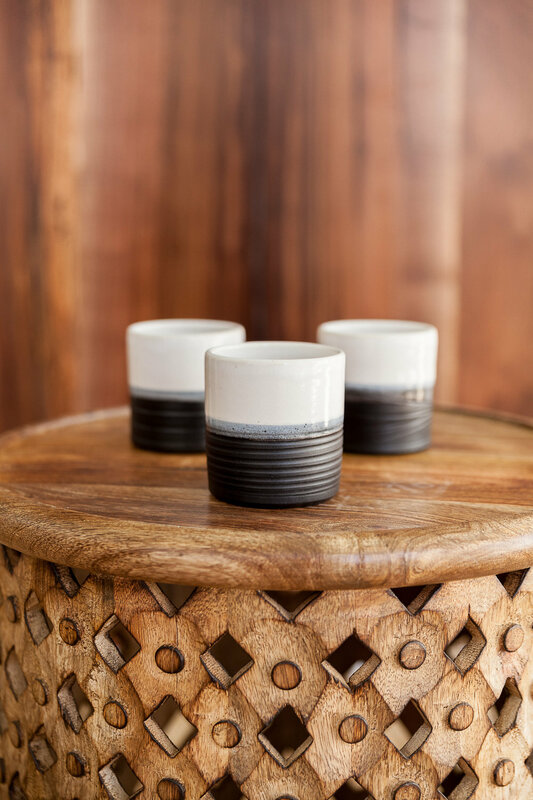 ﻿Keeping true to the vision she had for Lucid Living, Natasha reached out to Alexis Courtney of East Clay Ceramics to create a tea mug that embodied Lucid Living’s vibe. “I wanted them to be representative of what Lucid Living was offering and what we’re trying to hold space for because it’s part of the community," Natasha shares. When you come in and sip on a warm cup of herbal tea that we made here for you, she wanted to make sure even the mugs used were representative of Lucid Living. She also knew that Alexis was the perfect person to bring her vision to life. 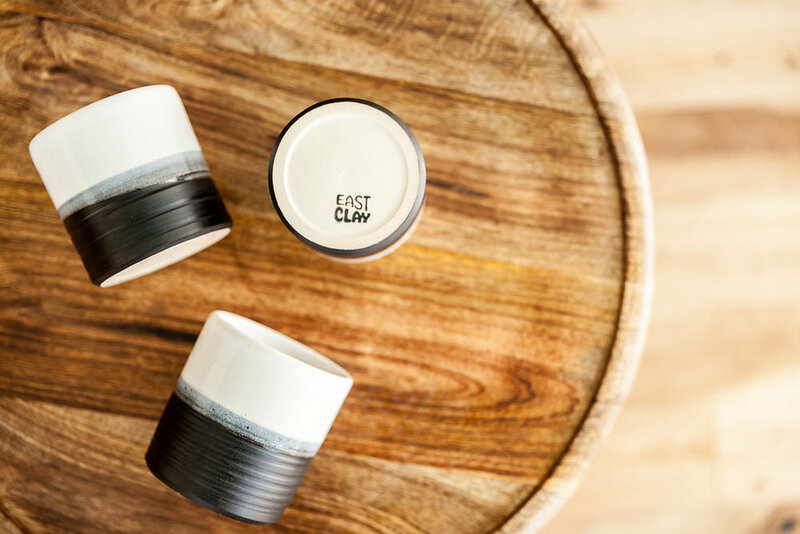 We talked with Alexis a little more about how East Clay Ceramics got started and her collaboration with Lucid Living. In 2016, Alexis’s ceramics habit turned a little more serious, so she started East Clay ”to find an outlet for sharing the pieces that were piling up with others,” she shares. Having dabbled in ceramics for about 10 years, it has always been something she’s enjoyed. Things started to really move forward and progress once she moved to Richmond. Her hobby stuck and grew into East Clay. The name? It came about after she moved back to the East Coast and living on Clay Street - East Clay Ceramics was born. They are truly one of a kind pieces, with each ware having “its own textural element that differs from its neighbor,” she explains. Her minimalistic style was the right fit for Natasha’s vision, and so they began working together to create the perfect tea cup for Lucid Living. I wanted this beautiful blend of understanding that we can’t move and be our true selves without embracing both the darkness and light of life. Through a couple rounds of iterations, Alexis created the mugs that you now see in the studio and that are available for purchase. She created a blend of black and white, representing both darkness and light. In the middle, there is “a space where the two coincide, where they overlap and come together” Natasha shares. This is exactly what Natasha had in mind for the mugs and Lucid Living as a whole - the balance and harmony between dark and light in one’s life. What can you see from Alexis and East Clay in the coming months? 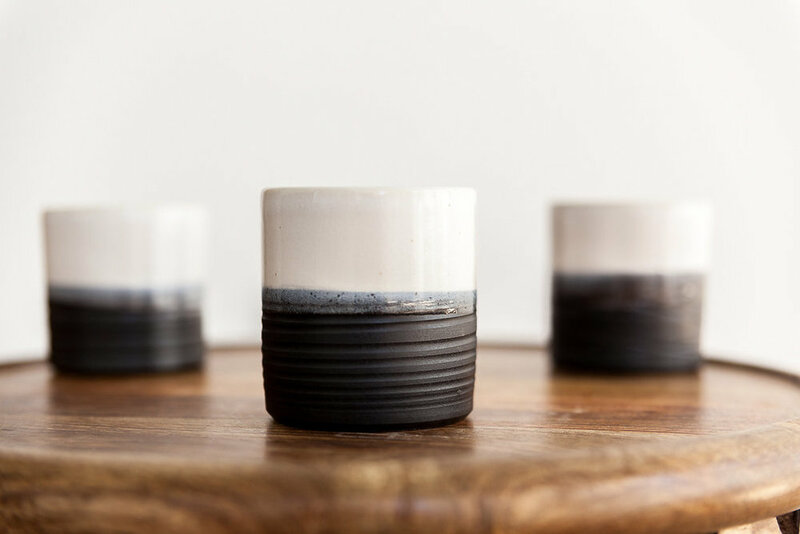 First, you can make sure to check out her newly opened ceramics studio with her business partner Emily Wicks, called Hand / Thrown. “We just wrapped up our first show, Craft & Design. It was a really great event and a fantastic introduction of our space to the community,” Alexis shares. As for East Clay, she is keeping busy with creating wares for customers and working directly with businesses right here in Richmond. She hopes to expand to a few more stores around Richmond in 2019. Be on the look out for her wares the next time you’re exploring our beautiful city! If you want to see more about East Clay Ceramics, follow them on Instagram and Facebook.